Our trademark glasses are a tactile delight; a perfect scotch glass inspired by the wild thistles that cover the Scottish Highlands. Available in clear(2oz) Ideal for scotch or other fine liqueurs. 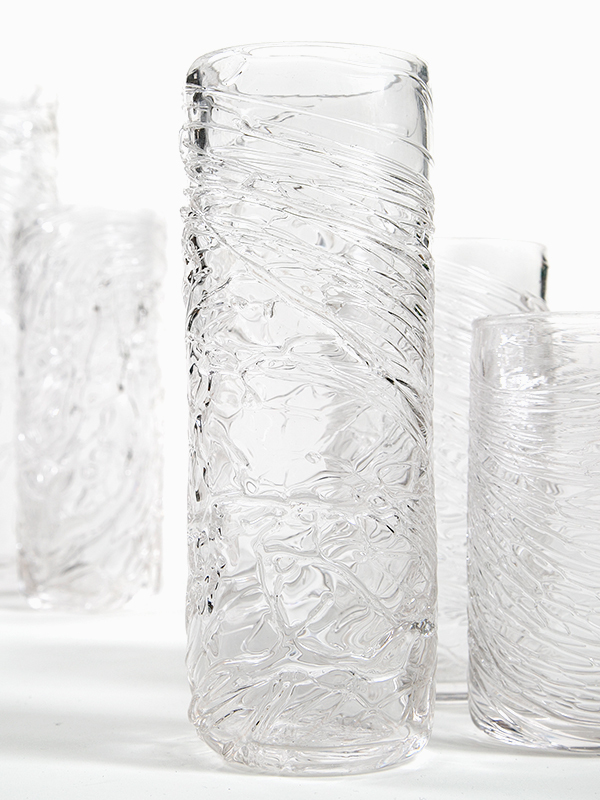 These tall and textured glasses are inspired by the ripples in a clear pond. 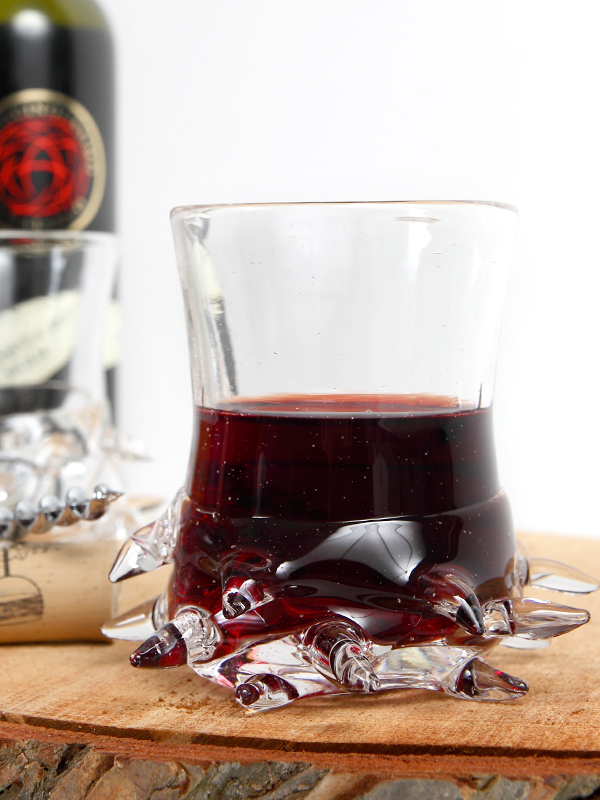 The movement in the glass creates a sense of motion in the drink and an enjoyable vessel to hold. These heavy bottomed scotch glasses pay homage to the Great Canadian Shield we live on; solid and rocky with crystal clear lakes. 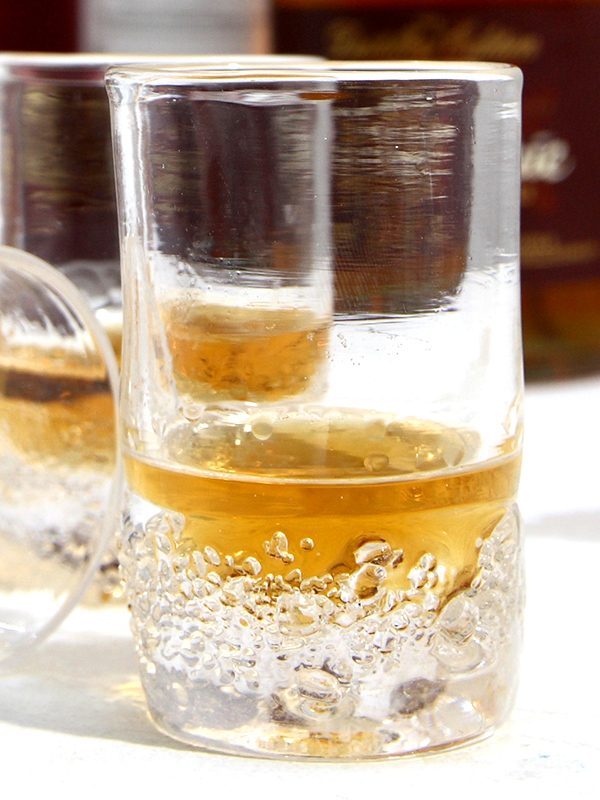 These frit covered glasses are available in single or double shots, with enough space to enjoy it neat or on the rocks. 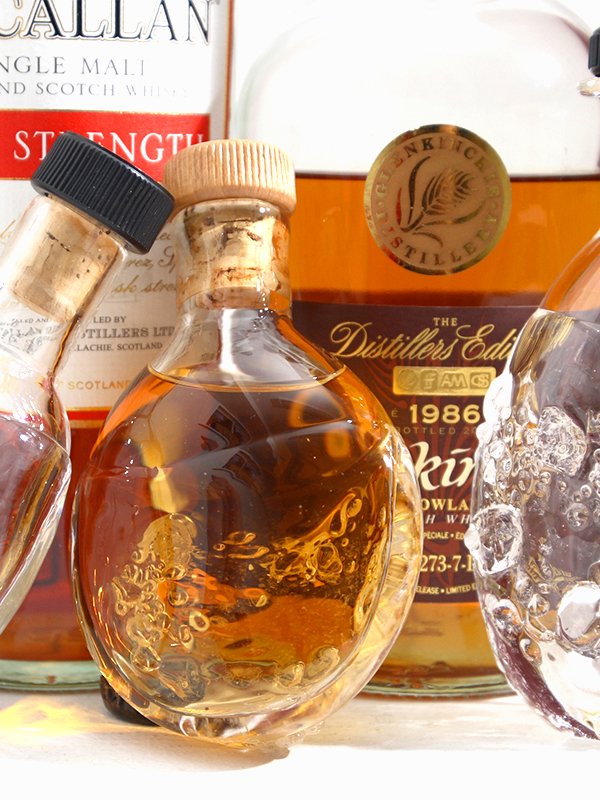 Available in three sizes scotch (2oz), wine (6oz) or lowball (8oz). All sizes are available in clear. This heavy bottomed, fritted decanter pays homage to the Great Canadian Shield we live on; solid and rocky with crystal clear lakes. 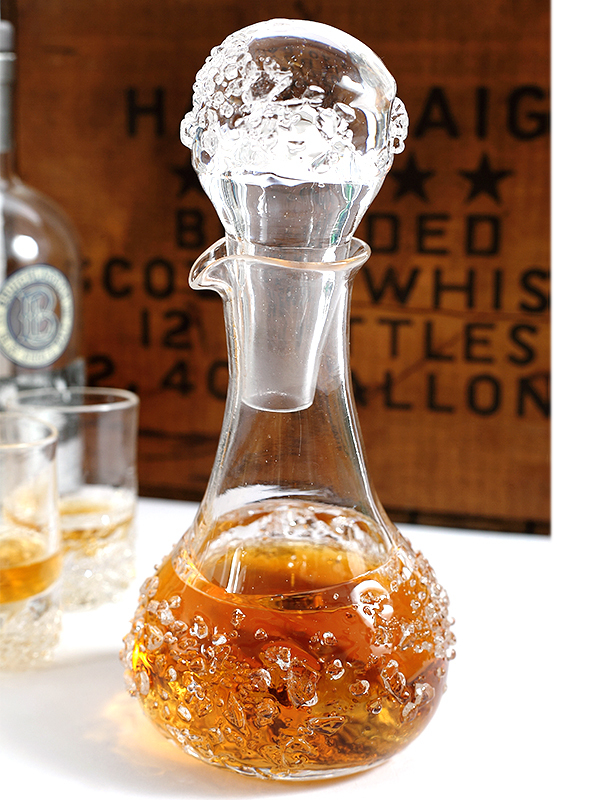 Great for decanting your favourite bottle or for holding that cool, spring water needed to cut the cask strength single malt scotch.